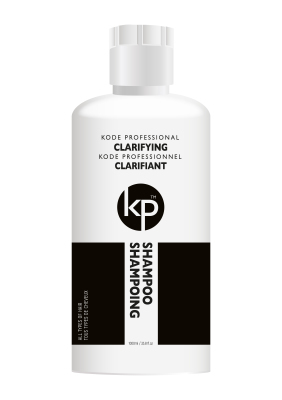 Kode Professional Clarifying Shampoo is a highly effective deep cleansing system for your hair. This shampoo opens the hair shaft and cleans deeply, removing dirt, residue, environmental and air pollutants that fasten onto your hair over the course of the day. Kode Professional Clarifying Shampoo is recommended for use before smoothing systems and deep hair treatments, such as hair masks and treatments that must be applied to very clean hair in order to attain optimal results.